As any science student knows, laboratory settings are extremely resource-intensive. 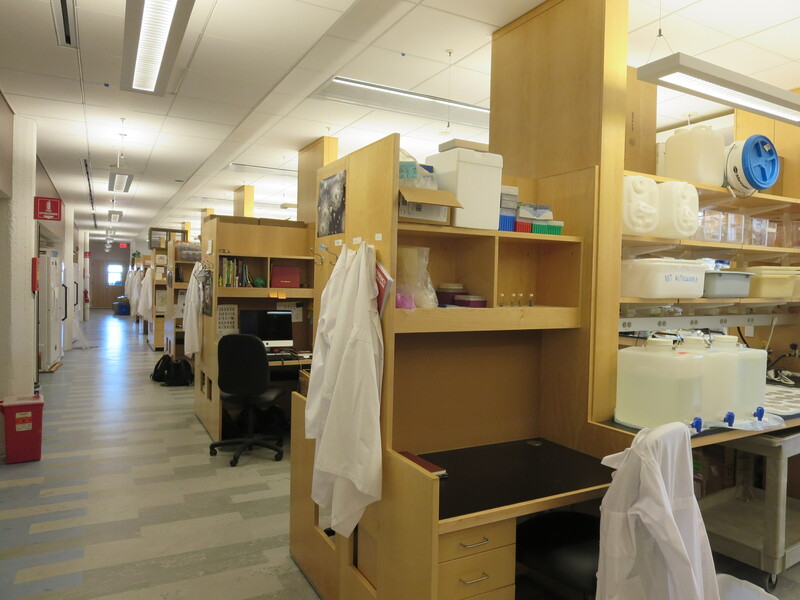 Tufts’ Campus Sustainability Council confirmed this in their 2013 report, stating that lab and hospital buildings have a disproportionately large environmental impact. Unfortunately, much of the material waste produced in labs is unavoidable. Items like pipette tips and vials are demanded in enormous quantities and typically cannot be recycled. Despite these difficulties, steps can be taken to minimize the amount of material that ends up in the landfill. Emily Edwards, the Engineering Lab Coordinator and Eco-Ambassador in the SciTech building, continually tries to reduce waste in her labs. She collects and recycles packing materials like Styrofoam coolers, commonly used for transporting biomaterials, and tries to reduce the use of disposable materials like paper towels. SciTech also has a large electronics-recycling bin, ensuring that worn-out lab and office equipment is not sent to the landfill. Sanjukta Ghosh, a biology lab coordinator at 200 Boston Ave., has also taken steps to reduce lab waste, most notably her participation in vendor take-back programs. What are vendor take-back programs? Vendor take-back is an increasingly common practice whereby a product can be returned to the company that sold it at the end of its useful life. Many companies have begun to offer take-back services voluntarily, although it is up to the consumer to participate in these programs. Vendor take-back has a number of advantages over traditional waste disposal, and has the potential to greatly increase environmental sustainability. For example, vendors of electronics may offer to collect and safely recycle them, preventing them from ending up in landfills. In addition, many vendors will take back packaging materials from their products and reuse them. This reduces waste, and also saves the vendor money and resources. Interestingly, the vendor take-back model places the onus on retailers to safely dispose of their products, rather than passing this responsibility on to the consumer. It is important for consumers to take advantage of existing take-back programs, especially in equipment-intensive settings like university labs, in order to reduce their waste output and environmental impact. Agilent and Eppendorf are two such companies that have programs in place to collect worn out lab products. Large equipment pickup may only be offered with the purchase of a replacement product, but pickup is often free for smaller items. Details vary by company, and it is typically necessary to make arrangements for pickup with a local representative. Although this practice does divert material from the landfill, it can still have environmental drawbacks. For example, because Styrofoam is so porous and light, transporting coolers back to the distributor for reuse can actually have a larger carbon footprint than manufacturing new ones. While the waste associated with shipping equipment and reagents to labs may seem unavoidable, many universities have already implemented a simple solution. 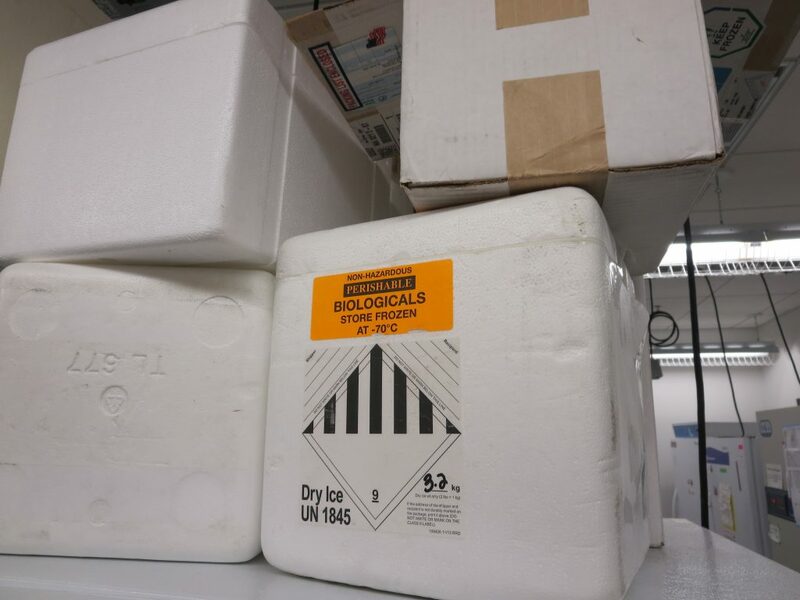 Instead of individually mailing each new order of lab materials, a supply center can be set up onsite to provide campus labs with the materials they demand. This system virtually eliminates packaging, as items are delivered in bulk to the campus supply center, where they are stored and then picked up as needed by lab personnel. As an added bonus, onsite supply centers tend to save money, as items no longer need to be individually shipped to campus, and vendors may offer discounts for bulk purchases. 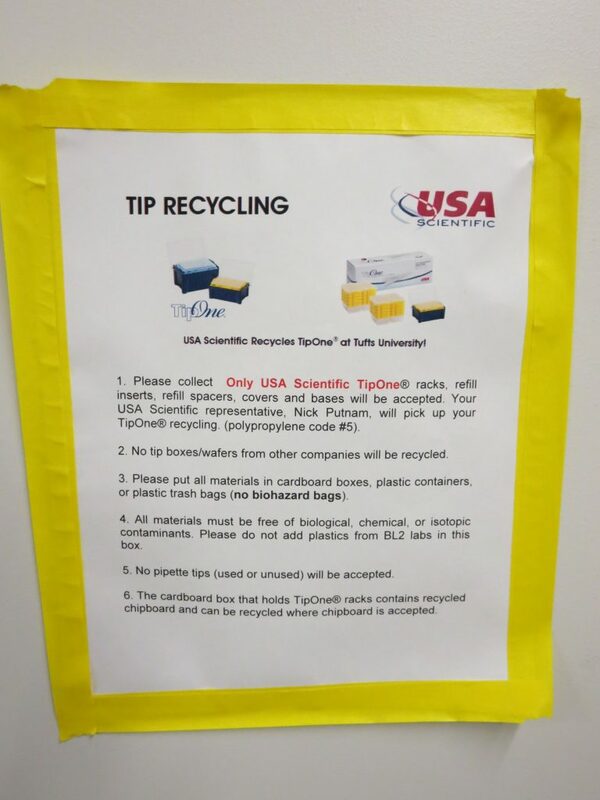 Although Tufts does not currently have any supply centers, in the future this could be a cost-effective way to minimize unnecessary waste. Always recycle when possible – common lab materials (like cardboard boxes from gloves) often end up in the landfill when they could easily be recycled. Make sure that you know which materials are recyclable, and always place them in the appropriate bin. For more information on recycling at Tufts, visit the recycling website. Keep track of inventory – know what materials you already have on hand, and only purchase the needed amount. 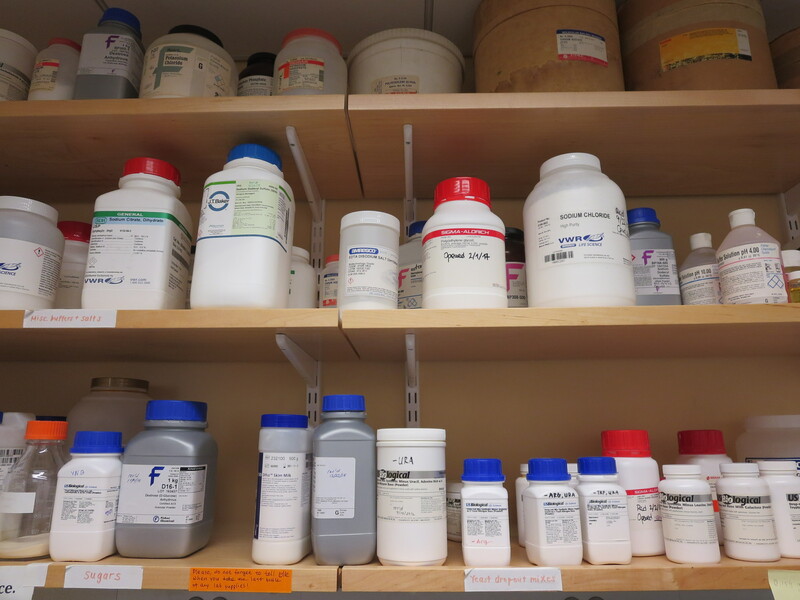 Properly labeling and storing reagents also ensures that others can use them in the future. Properly dispose of e-waste – old electronics, batteries, light bulbs, and similar items can be diverted from the landfill by placing them in their designated specialty-recycling bins, which may vary by building. This ensures that they will be safely disposed of, while salvaging useful materials. Empty Ink and toner cartridges can often be mailed back to manufacturers to be refilled. Donate equipment – even better than recycling unwanted, functional equipment is donating it to other institutions. On the flip side, you can receive equipment donations from other labs, which saves money too! Finally, Tufts employees can subscribe to the freecycle e-list, and donate or request items within the Tufts community. Purchase environmentally friendly materials – many vendors offer refillable or recyclable items like pipette tip boxes. Look for more sustainable alternatives to commonly used lab materials! Taking steps such as trading in old equipment or refilling pipette tip boxes may seem small, but they can contribute to a significant decrease in lab waste. Implementing these actions can help transform resource-intensive labs into pinnacles of sustainability on campus.